The content and information of this website are the property of Garaday Lanzarote. The download, reproduction or transmission of the same for use that is not strictly individual without commercial intention is strictly prohibited. All the registered trademarks mentioned are only for the identification of the items for sale and are the property of their respective manufacturers. The use of registered or patented trademarks is not granted under any circumstances. All the information contained may be subject to typographical errors. Garaday Lanzarote reserves the right to modify and correct it without prior notice. Our website is Spanish, so it is subject to Spanish laws. Garaday Lanzarote may disclose any information regarding its use if it is required by the authorities. The user of Garaday Lanzarote undertakes not to use any device that alters the normal functioning of the portal. To contact us in relation to these services you can do so through the contact information form. Garaday Lanzarote reserves the right to make, at any time and without prior notice, modifications and updates to the information contained on its website or in the configuration and presentation of this. In order to keep the information published on the portals up-to-date, the contents thereof may be modified, corrected, deleted or added at any time, so it will be convenient to check the validity or accuracy thereof by going to the official sources. All the elements that make up the website, as well as its structure, design, source code, as well as the logos, trademarks and other distinctive signs that appear on it, are the property of Garaday Lanzarote or its collaborators and are protected by the corresponding intellectual and industrial property rights. Likewise, the images and other graphic elements contained in the portals are protected by the corresponding intellectual and industrial property rights. Garaday Lanzarote expressly prohibits the realization of “framings” or the use by third parties of any other mechanisms that alter the design, original configuration or contents of our portals. The use of the contents must respect their particular licensing. In such way its use, reproduction, distribution, public communication, transformation or any other similar or analogous activity, is totally forbidden unless it has previously agreed and expressed the authorization of Garaday Lanzarote. It is expressly mentioned to Garaday Lanzarote as source and origin of those. The purpose and purpose of such use is compatible with the purposes of the Website and / or the activity of Garaday Lanzarote. Any other use must be communicated and authorized by Garaday Lanzarote, previously and expressly. Regarding the appointments of products and services of third parties, Garaday Lanzarote recognizes in favor of its owners the corresponding rights of industrial and intellectual property, not implying their mere mention or appearance on the Web the existence of rights or any responsibility on them, nor support, sponsorship or recommendation. Garaday Lanzarote declares its respect for the intellectual and industrial property rights of third parties; therefore, if you consider that our portals may be violating your rights, please get in touch with Garaday Lanzarote. Garaday Lanzarote does not guarantee the absence of errors in the access to the Web, in its content, or that it is updated, although Garaday Lanzarote will develop its best efforts to, in its case, avoid, correct or update them. Both the access to Garaday Lanzarote portals and the use that may be made of the information contained therein is the sole responsibility of the person who carries it out. Garaday Lanzarote is not responsible for possible security errors that may occur or for any damage that may be caused to the User’s computer system (hardware and software), the files or documents stored in it, as a consequence of the presence of virus in the User’s computer used for the connection to the services and contents of the Web, of a malfunction of the browser or the use of non-updated versions of it. Garaday Lanzarote is not responsible for the information and stored content, by way of example but not limited to forums, chats, blogs, comments, social networks or Any other means that allows third parties to publish content independently on the website of Garaday Lanzarote. No however and in compliance with the provisions of the LSSI, Garaday Lanzarote is made available to all users, authorities and security forces, and collaborating actively in the withdrawal or blocking of any content that could affect or contravene national or international legislation, third party rights or morals and public order. In case the user considers that there is any content on the website that could be susceptible to this classification, please contact Garaday Lanzarote. Garaday Lanzarote is not responsible for the replies made through the different addresses of e-mail that appear on your portal, so that in no case can be derived legally binding effect of the same. Links or hyperlinks The links contained in our portals can direct to third-party Web content. The purpose of these links is only to facilitate the search of the resources that may interest you through the Internet. However, these pages do not belong to Garaday Lanzarote, nor does it review its contents and, therefore, Garaday Lanzarote does not assume any responsibility for the content, information or services that may appear on these sites, which will be exclusively informative and that in no case do they imply any relationship between Garaday Lanzarote and the persons or entities holding such content or owners of the sites where they are located.  Garaday Lanzarote can not be held responsible for the operation of the linked page or any possible damage that may arise from access or use of it. Links to the website of Garaday Lanzarote must respect the following conditions: The establishment of the link will not imply any type of agreement, contract, sponsorship or recommendation by Garaday Lanzarote of the page that makes the link. The web page on which the hyperlink is established will not contain information with contents that are illegal, discriminatory, contrary to commonly accepted ethical principles or violate public order, nor shall it contain contents contrary to any rights of third parties. Lanzarote Lanzarote may request that a link be removed from its website, without the need to claim any cause. In this case, the page that made the link should proceed to its immediate deletion, as soon as it receives the Garaday Lanzarote notification. It is not responsible in any way nor guarantees the quality, accuracy, reliability, correctness or morality of contents or services that the establishment of the hyperlink can offer. The user assumes under its sole responsibility the consequences, damages or actions that may arise from access to the website of the hyperlink. The website on which the hyperlink is established may not contain brand, denomination, logo, slogan or other distinctive signs belonging to to Garaday Lanzarote except those signs that are part of the same hyperlink. The personal data requested for the provision of our services are included in automated files subject to the provisions of the Organic Law on Data Protection 15/1999 (LOPD) and in the Royal Decree 1720/2007, of December 21, by which the regulation of development of the same is approved (RLOPD). The collection and treatment of said data are carried out by Garaday Lanzarote, and are intended for the management , provision, expansion and improvement of the services requested at all times by the user, follow-up consultations, participation in processes of selection of personnel, electronic communications and / or the preparation of statistics. The services provided by Garaday Lanzarote are aimed at people over 14 years of age. In the exceptional case of the development of a service specifically aimed at minors of that age, Garaday Lanzarote will request the consent of parents or guardians for the collection of personal data or, where appropriate, for the automated processing thereof. Lanzarote undertakes to comply with its obligation of secrecy with respect to the personal data provided and the duty to treat them with confidentiality and confidentiality, in accordance with current legislation. For these purposes, it will adopt the necessary measures to avoid its alteration, loss, treatment or unauthorized access. It is also informed that, if you wish, you can exercise the rights provided in Art. 5 of the LOPD through info@garadaylanzarote.com indicating your full name, the service of Garaday Lanzarote in which you have signed and the right of Access, Rectification, Cancellation or Opposition that you wish to exercise about your personal data.